What are the causes of placenta previa? How is placenta previa treated? How to cope with placenta previa? How to prevent placenta previa? The placenta is a vital organ that develops in the uterus during pregnancy. It nourishes and protects your baby, by filtering away the wastes. It is usually attached to the top or side of the uterus by the umbilical cord. But sometimes, it is attached to the lower part of the uterus, resulting in a pregnancy complication known as placenta previa or low-lying placenta. 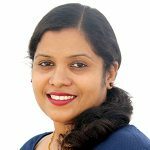 Here, MomJunction tells you what placenta previa is, how it affects your pregnancy and how to rectify or manage it for a healthy and safe delivery. 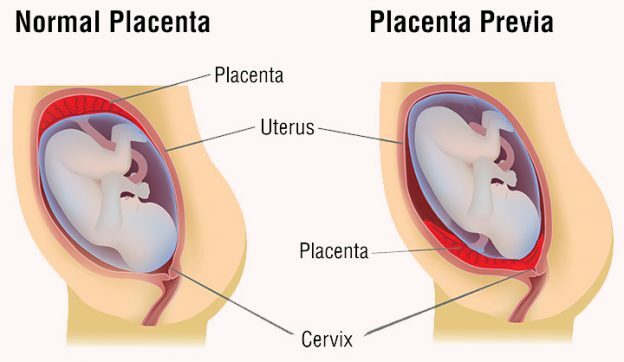 Placenta previa is a pregnancy complication that occurs when the placenta lies low in the uterus and covers a part or the entire cervix, which is the opening to the birth canal (1). Placenta previa occurs in one out of 200 pregnancies (2). The condition is not a concern if it happens in the early stages of pregnancy. But if it occurs during labor and delivery, it could lead to complications that can harm both the mom and the baby. The condition can be further classified into anterior and posterior placenta previa which refers to the exact placental position within the uterus. It can be defined through an ultrasound scan (3) (4). The actual cause of placenta previa is unknown. But some factors can increase the likelihood of this condition (5). Knowing the symptoms helps in an early diagnosis. Sudden onset of painless vaginal bleeding that can range from light to heavy, although bright red bleeding is more common. Early labor symptoms such as regular contractions, pain in the belly or lower back. You must call your doctor immediately if you notice vaginal bleeding during your pregnancy, irrespective of the trimester. The uterus measures larger than it should at the given gestational age. If you do not experience any symptoms, your doctor may be able to identify a placenta previa during your regular prenatal scans. If your doctor detects placenta previa, they will avoid any further vaginal examinations to lower the risk of bleeding, except when there is an urgent need for a cesarean section. Was the bleeding only once or was it recurring? Do you have any pain or contractions? Did you undergo any surgeries such as fibroid removal, cesarean, D&C or abortion? How long does it take to reach the hospital in case of emergency? Is there anyone who can accompany you when required? Is there a chance of the condition resolving on its own? How can I manage the bleeding? What symptoms should prompt me to go to the hospital? When should I revisit the hospital? Will a placenta previa increase the chances of complications in future pregnancies? In addition to this, your doctor may also give you care instructions and precautions to take when you have a placenta previa. There are no medical or surgical treatments for curing placenta previa (7). However, the condition can be managed by alleviating the bleeding and discomfort (8). 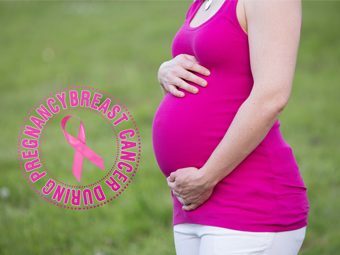 If you are diagnosed with placenta previa before the 20th week of pregnancy, it is likely to get better. The placental position can change with the growing uterus and can move away from the cervix. If it does not resolve or placenta previa is diagnosed in the later stages of pregnancy, your doctor will most likely suggest a C-section. Be prepared to go to the hospital if bleeding turns heavy or resumes. If the placenta is placed low but is not covering the cervix, your doctor may suggest a vaginal delivery. Go to the doctor immediately as blood transfusion may be necessary in the case of severe bleeding. 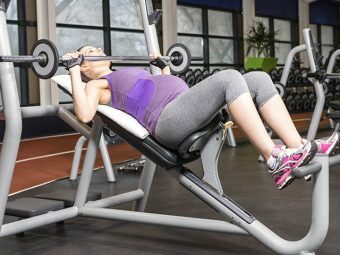 The doctor prescribes steroids if you are not nearing the due date, or haven’t reached the 36th week, to prepare the baby by speeding up the development of lungs. The OB/GYN will plan a cesarean if you are past the 36th week. Emergency cesarean even if you are not nearing the due date. These are situations when you need to visit the doctor immediately, to prevent any harm to you or your baby. Sometimes, a low-lying placenta can be managed with the help of alternative treatments. More about it next. In most cases, placenta previa resolves on its own as the pregnancy advances and the uterus enlarges. A low-lying placenta diagnosed during the second trimester resolves by the mid-third trimester (9). In very rare cases it can persist up to term and requires medical intervention in the form of cesarean delivery. If you are planning for a natural birth, you may try to manage the condition with natural treatment options, such as Traditional Chinese Medicine (TCM), which is considered safe. TCM sees placenta previa as Sinking Qi, and the aim of the treatment is to raise this Qi, curb vaginal bleeding and calm the baby inside. It uses a combination of two techniques – herbal medicines and acupuncture (10). Herbal remedies: Bu Zhong Yi Qi Tang is a herbal formula designed for treating this placental condition. It raises the Qi and is a safe medicine for pregnancy. Acupuncture: Du 20 is the key point useful for treating placenta previa. It is located at the top of the head and is very effective in raising Qi. If you wish to try the TCM treatment, make sure to choose a qualified practitioner for it. Irrespective of whether it is conventional or alternative treatment, you need to take some measures to keep your pregnancy safe. These precautions help you avoid further complications caused by a low-lying placenta (1). Precautions are important because placenta previa can lead to some serious complications. While you cannot correct a low-lying placenta, you can manage the condition. Next, we’ll tell you how. Learn everything about the condition: Having clarity about the condition eliminates unwanted doubts, fears, and anxiety. Try researching on your own, talk to your doctor or connect with others (you can find in support groups) who have the same condition. Prepare for cesarean section: Placenta previa makes normal vaginal delivery difficult. So a cesarean section will become necessary for yours and your baby’s well-being. Self-care: Indulge in activities such as listening to your favorite music or reading a book to calm yourself down. Ask your partner or your loved one to help you in preparing your favorite dish, or visiting a pleasant place. Take rest: You may not like the idea of bed rest, but you need it at this time. Use the free time to pursue a hobby or read about baby care and shop online. There is no way to prevent placenta previa since there is no particular cause for it. However, if the risks for you are high owing to your age, prior surgeries or previous pregnancies, try to be extra careful and maintain a healthy lifestyle. Most importantly, stay away from cigarette smoking and cocaine consumption as they are associated with the condition. Next, we answer a few commonly asked questions about placenta previa. 1. Is placenta previa genetic (hereditary)? No, placenta previa is an obstetric complication and not a genetic condition. 2. Can I fly with a low-lying placenta? Avoid flying as it can increase the risk of bleeding and other pregnancy complications. These complications could develop due to the turbulence and sudden movements during the flight. Placenta previa could be a stressful diagnosis, which could fill you with fear and anxiety until delivery. But the good news is that it can be managed for a smooth delivery, without complications. Do not worry about the condition but talk to your doctor about it. Do you have any experiences to share? Please share it in the comments section. 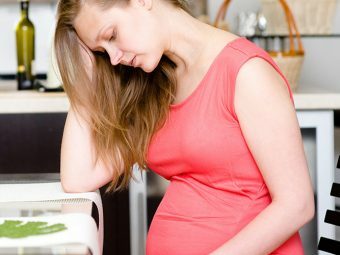 How Can Vitamin B6 Help Fight Morning Sickness?